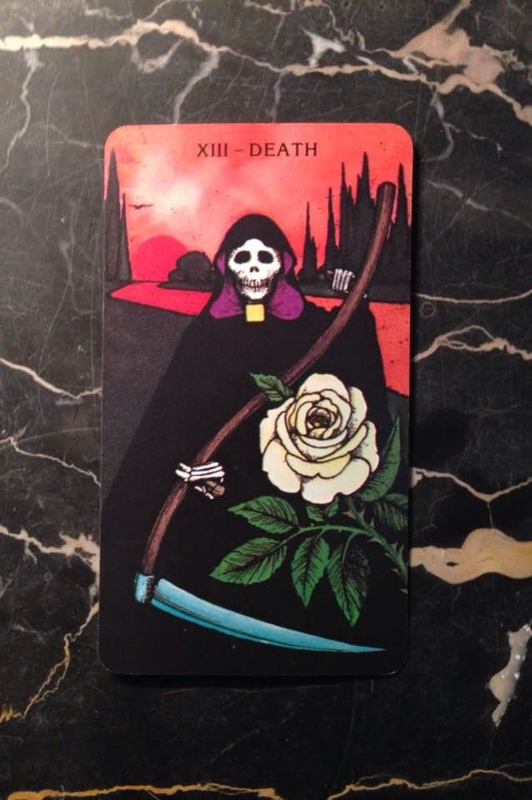 The Death card comes up today to advise you that you must close the door on something significant in your life in order to open another door. It could be a negative pattern, a phase of development, a job or relationship that is no longer working for you - it could even be the clutter that has accumulated in your home and needs a visit from Marie Kondo! Whatever it is, it may have been good for you in the past, but now it must end in order for you to enjoy better opportunities. This is a card of transition and transformation. When we let go of that which is no longer necessary, our excess baggage, we feel lighter and have more freedom to move forward. This requires clear-eyed discernment and the willingness to sever emotional ties. Perhaps you haven’t been prepared for that until this point. This card indicates that now you’re ready. The time is ripe to transform your life and advance into a new phase of growth.